TowelsOutlet.com - 30x56 bath towels by Oval Office Collection. Zero twist 100 % cotton. Luxurious towel.Available only in White. 30x56 bath towels by Oval Office Collection. Zero twist 100 % cotton. Luxurious towel.Available only in White. 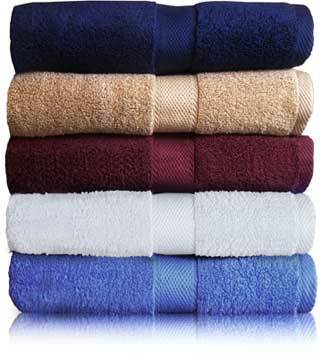 1 case ( 24 pcs) of 30x56 bath towels by Oval Office Collection. Luxurious zero twist 100 % cotton.Imported. Approx 18.0 Lbs per dz. Available only in White.